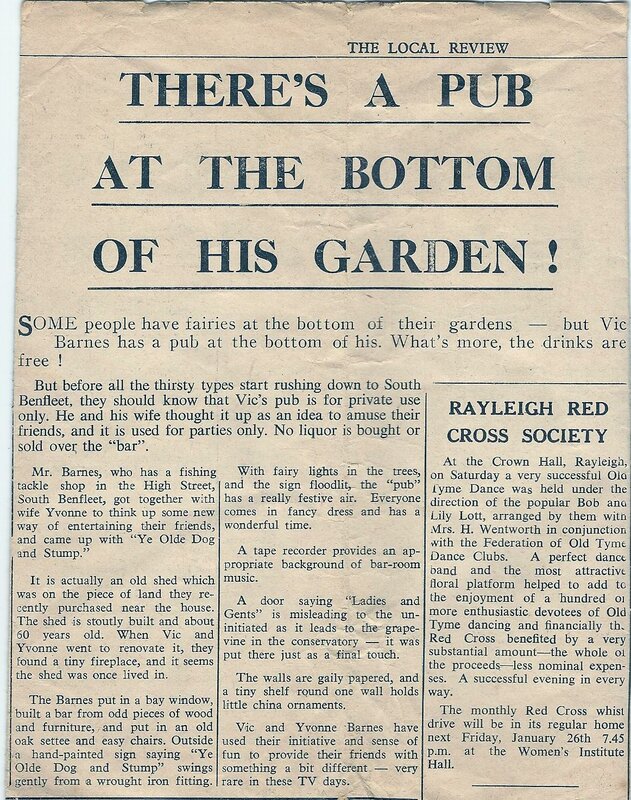 Vic Barnes, a larger than life local character, turned his old garden shed into what most males would love to have at the bottom of their garden. Uncle Vic was my mother’s elder brother, there was another brother, Uncle Len who was a talented poet and he also lived in Benfleet. 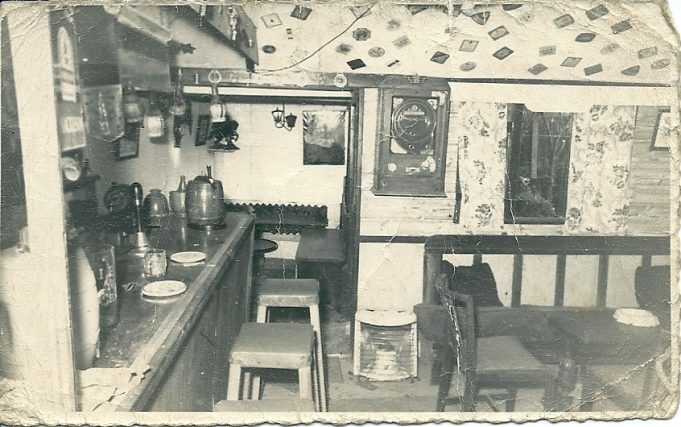 We had some great times at Vic’s place, in his pub in the garden. 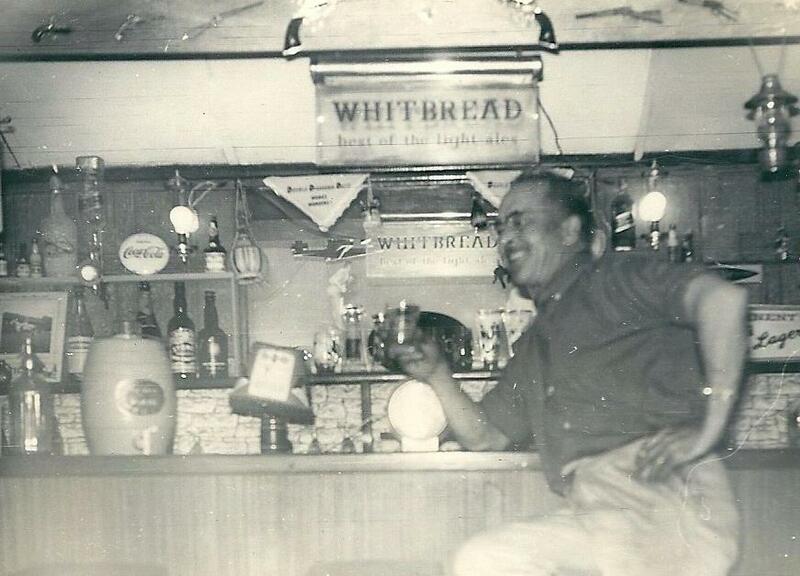 He was a well loved character in South Benfleet, and he really was my mentor as a cartoonist…. 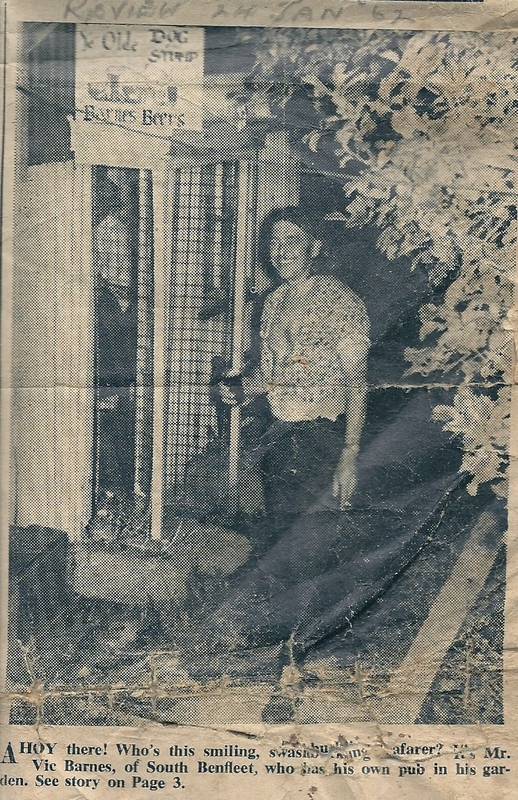 I remember when Vic (known as Uncle Vic) had a houseboat in the creek and we all used to go there and swim close by. I remember Mr and Mrs Barnes very well, I’ve still got my first proper sheath knife I bought there for the grand sum of 32/-. I used to give Mr Barnes eels I caught on the Hadleigh Downs. A lovely couple. I have seen quite a few of his cartoons, many of them were done while he was serving in the army based in the Falklands during WWII. They were very good. 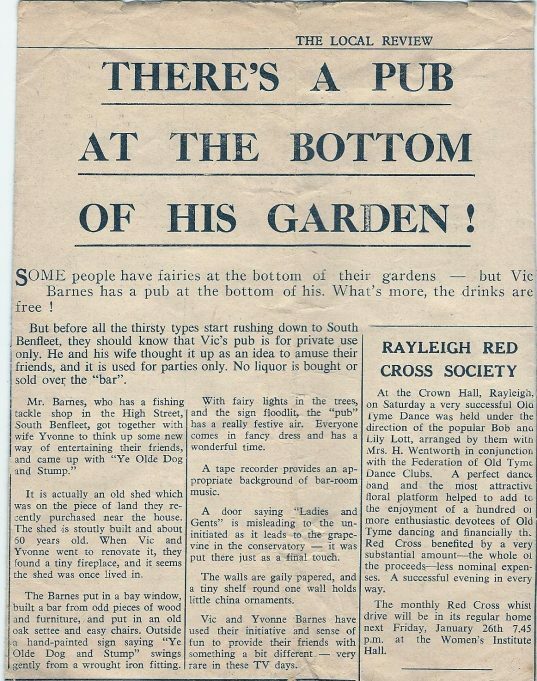 Vic Barnes was a talented cartoonist, perhaps Jackie has some to share? Err! 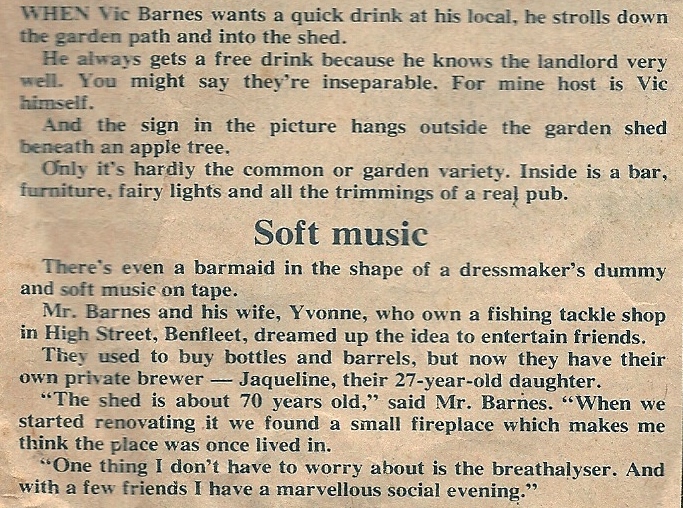 Was Vic Barnes ever in Benfleet Sailing Club say around 1963 ish or do I remember someone else? I used to buy all my fishing stuff and airgun pellets in his shop I think?